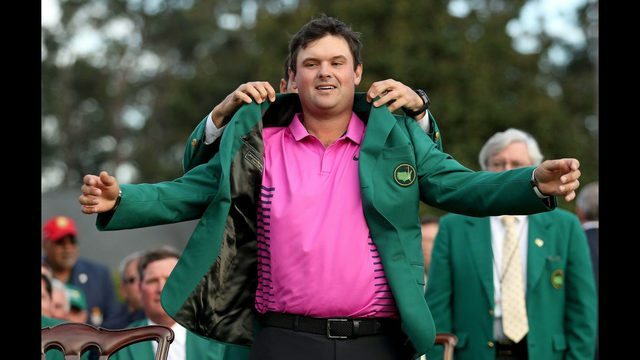 American Patrick Reed held off late challenges from his country men Jordan Spieth and Rickie Fowler to secure victory at the 2018 Masters tournament in Augusta last night. The 27 year old’s first over 70 round of the week saw him go round in 71 to finish on 15 under par, one shot clear of Fowler and two of Spieth, who’s remarkable closing round had seen him battle back from nine shots behind to claim a share of the lead. His ninth birdie on the day at the 16th had put the 2015 champion on course to equal the course record of 63 and even the major championship record of 62 before a poor drive on the 18th lead to a bogey ending his chances. Despite a difficult start to his round Fowler’s haul of 6 birdies from the final 11 holes keep the pressure on Reed right to the very end. Rory McIlroy begin the final round with a great chance of securing the much coveted Grand Slam but dropped shots on the fifth, eighth and 11th along with Spieth’s performance saw him drop out of contention and he ended up in a tie for 5th alongside Bubba Watson, Henrik Stenson and Australian Cameron Smith . Tiger Woods making his first major appearance since 2015 ended the tournament on 1 over after a closing round of 69 which included an agonising near miss of a hole in one on the fouth hole. The win for Reed was the sixth of his career and makes him the 220 different player to win a major event.